At his meeting on April 4 with General Wanlop Rugsanaoh, Secretary-General of the National Security Council (NSC) of Thailand, Deputy Minister Nguyen Van Thanh thanked the Thai high-ranking official for the reception. Deputy Minister Nguyen Van Thanh and General Wanlop Rugsanaoh, Secretary-General of the National Security Council (NSC) of Thailand. Deputy Minister Nguyen Van Thanh spoke highly of the recent successful general election in Thailand, which took place in a secure and safe circumstance and with a high turnout. The two sides at the meeting expressed delights at the recent good results of the bilateral cooperation between the Ministry of Public Security of Vietnam and the National Security Council of Thailand, emphasizing, this contributed to deepening the traditional friendship and strategic partnership between Vietnam and Thailand. The two sides agreed to further promote cooperation in the coming time, especially in maintaining the Vietnam – Thailand Joint Working Group (JWG) on Politics and Security under the agreed mechanism, enhance cooperation to ensure security and safety for visits of senior leaders of the two countries as well as for citizens of one country visiting, working and living in the other country. 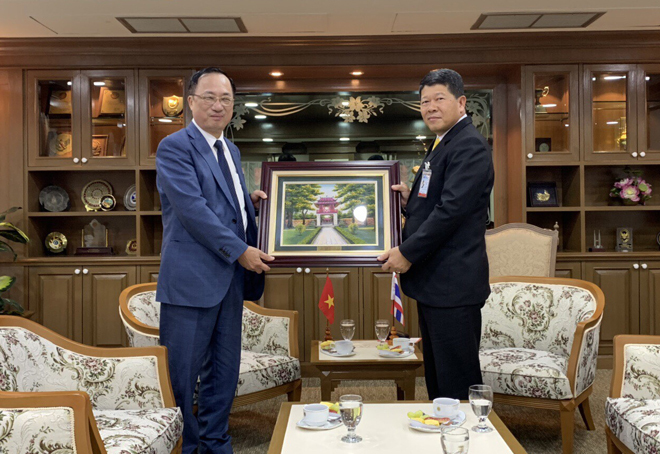 On April 4, Deputy Minister Nguyen Van Thanh also met with Deputy Commissioner-General of the Royal Thai Police, General Siwara Rangsiphramanakun. 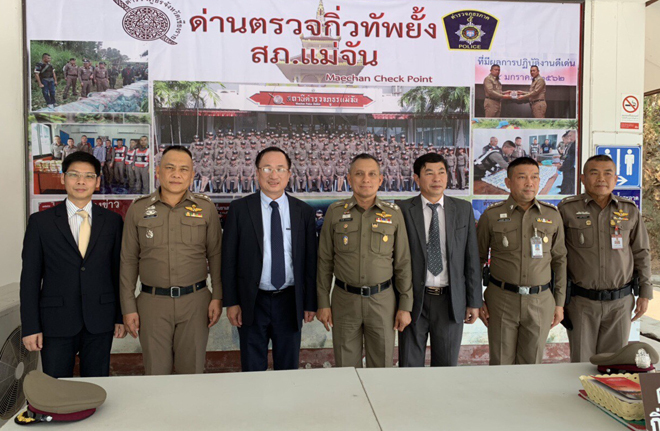 At the meeting, the two officials reviewed results of the cooperation between the Ministry of Public Security of Vietnam and the Royal Thai Police in recent time. Within the framework of the visit to Thailand, Deputy Minister Nguyen Van Thanh led the Vietnamese delegation to work at Chiangrai Province (700 km north from Bangkok and inside the Golden Triangle). At the working session with the Chiangrai Provincial Police Authority, the Vietnamese Deputy Minister of Public Security was briefed on the situation of drug prevention and fight in the province in recent time. In order to better understand the fight against drug-related crimes of Chiangrai province, Deputy Minister Nguyen Van Thanh and the delegation made a field trip to several hotspots in the Golden Triangle –the world’s drug hub, located at the junction of the Laos-Thailand- Myanmar border.